Wake prayers at 8:00 PM. Raul Mata, age 42, of Holland died Tuesday, February 27, 2018 at Holland Hospital. Raul had a passion for Michigan football. In his younger years he enjoyed playing softball at the Matt Urban Sports Complex. He liked to laugh and wanted everyone to get along and be at peace with each other. Raul loved his daughters. 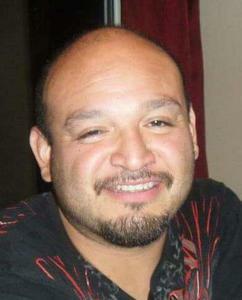 He was preceded in death by Geraldo Mata, Jaime Mata, Paige Mata, Gregorio Mata and Feliciana Serrano Ramirez. He is survived by his children: Maryann Marie Mata, Ariana Teresa Mata and Francisca Mata; Mom and dad: Pedro and Maria Mata-Solis; brother: Pedro and Jessica Mata Jr.; sister: Patricia Mata; grandma: Sabina Solis-Mata; uncles and aunts: Jose and Linda Mata, Dave and Lori Mata, Jesus Mata, Luz and Max Chavarria, Simon Mata, Juan and Noelia Mata, Candelario and Sherri Ramirez, Pablo and Gloria Ramirez, Jose and Maria Ramirez and Francisca Ramirez; nephews, nieces and many cousins. A funeral mass will be held at 2:00 PM, Friday, March 2, 2018 at St. Francis de Sales Catholic Church, 171 West 13th Street in Holland. Father Kyle Kilpatrick will be officiating. Burial will be in Pilgrim Home Cemetery.